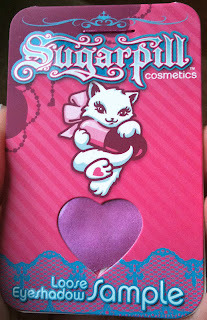 I've heard a lot about Sugarpill in the past, but I only ever found Lumi to be something that caught my eye. Though I had heard only positive reviews about them, super bright colours aren't usually my thing and they are kinda expensive. However, Lumi kept catching my eye, the size of the containers were fairly large looking and on black friday they were having their largest sale of the year. Plus my birthday was coming up so I figured they would make a nice gift to myself so I finally splurged on two of them. 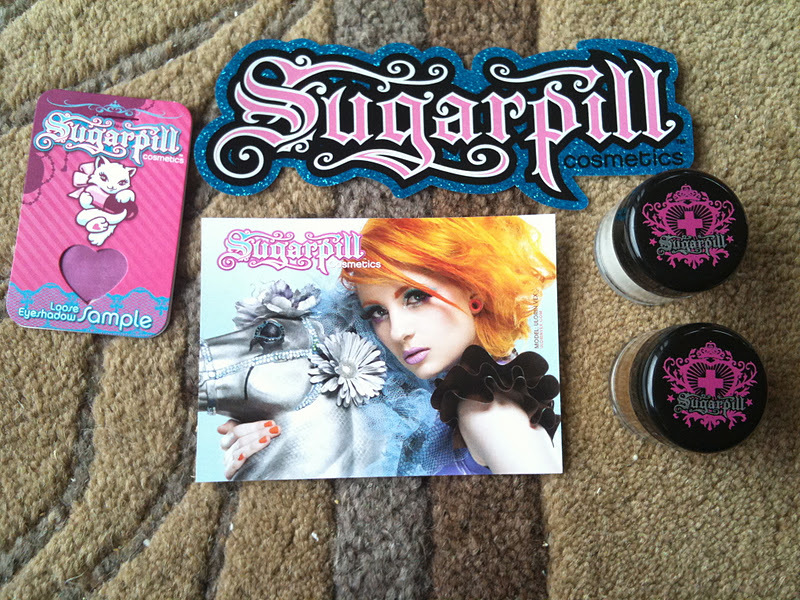 This is what I received with my order: my two chromalusts, a sample of Magentric chromalust, a big Sugarpill sticker and a advertisement card. The models are kinda neat in an eccentric way, and I like their random use of animals in the photos. 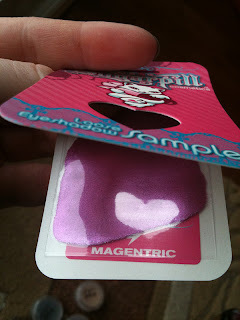 I ended up giving my sister the Magentric sample so there isn't a swatch here of it but I did swatch the two vials of pigment. 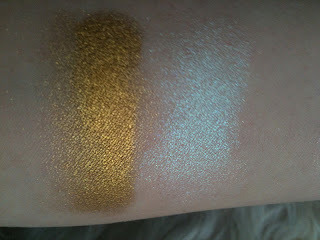 Goldilux is as fantastic as the reviews say it is. 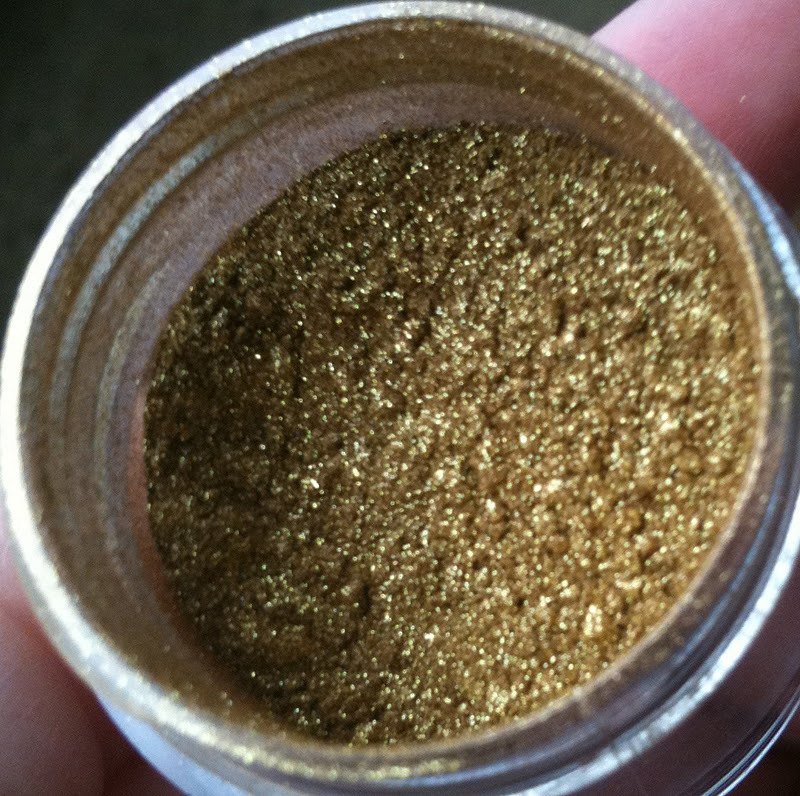 A super intense realistic gold shade with a metallic and sparkle finish. This really does need a base like Fyrinnae Pixie Epoxy beneath it to bring out the true loveliness of it though. All of my photos are done over Too Faced Glitter Glue here but any tacky/sticky base would work. Lumi reminds me of winter snow in that it is almost translucent/white with an amazing light blue luminescence to it which I love. 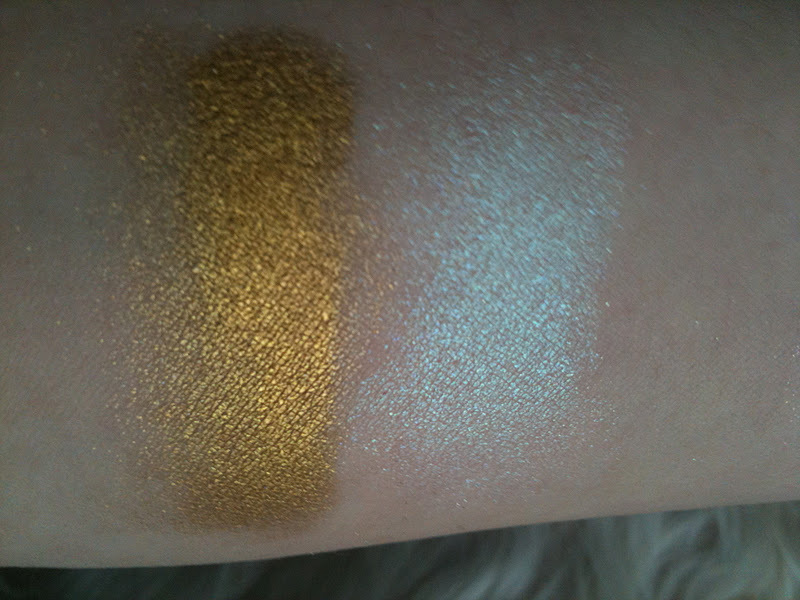 It is a great colour for highlighting and a fabulous colour to brighten the inner eye. 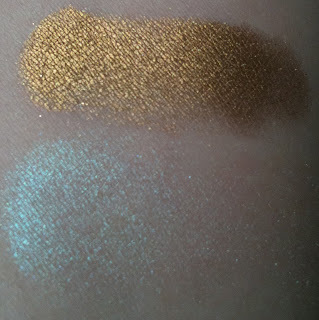 These are nice shadows, both are quite unique (though I'm fairly sure there are dupes out there they certainly aren't common colours). I'm impressed with the effect of both of them on the eye as they give quite a bit of depth to when on. 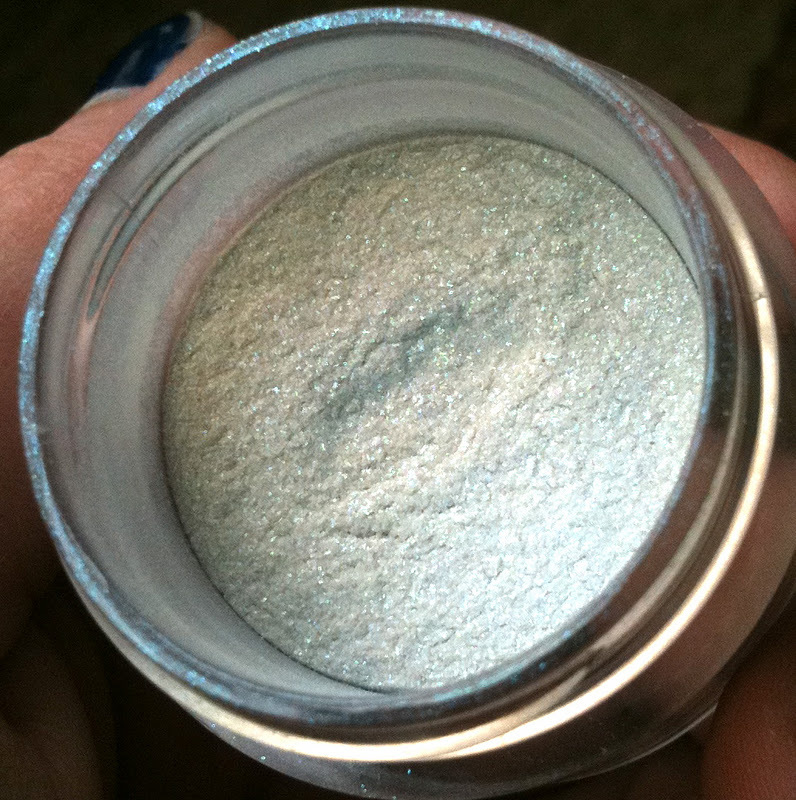 I wish Lumi had a bit more pigmentation to it but over a base like Fyrinnae Pixie Epoxy it looks better. In fact both look their best when over a sticky base. I did however notice that these tend to fade a bit on me over time, especially if there isn't a base beneath them. Just something to keep in mind. 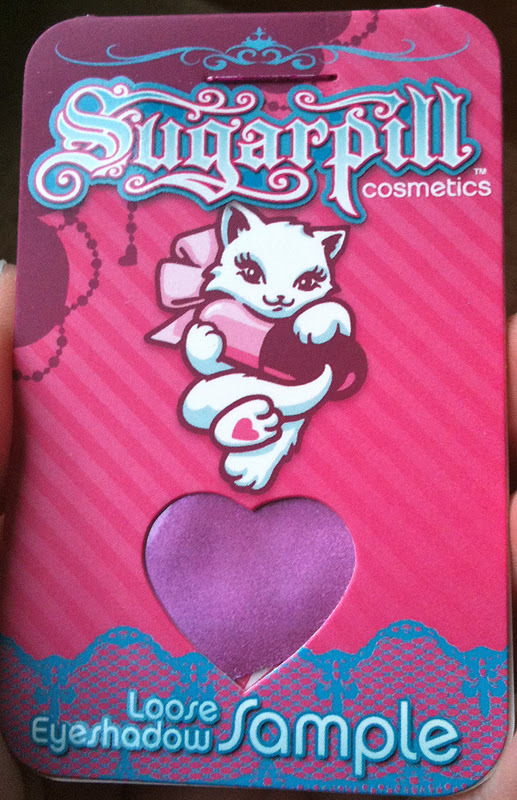 The packaging is actually quite nice. The pigment pots are deep so you don't have to worry about spilling eyeshadow everywhere when you use them and for just the smallest amount of colour you can easily get some off the inside of the cap. They're sturdy enough that I don't need to worry about powder flying everywhere when I tap excess off my brush against the side of the vial too which is a bonus. Overall, I do like these Chromalusts. 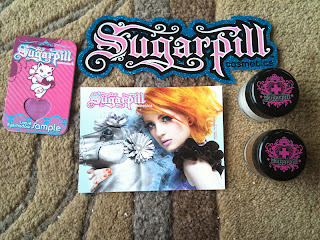 They are beautiful and you get a lot of product. 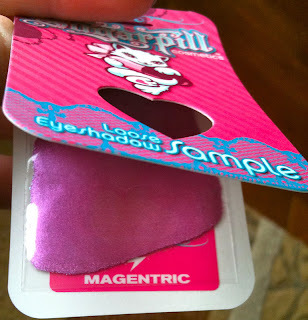 They are a bit expensive though so I recommend getting them on sale if you can but if you're just starting with loose eyeshadow these are nice ones to get because the packaging is nice and sturdy so you don't have to worry as much about spillage. Not as long lasting as I'd like but beautiful colours. Sprite Rating: 7.5/10 Lovely colours and packaging but a bit expensive and they do fade over time. Would I Buy Again? Yes, I think I would but only for unique colours. I like the two I've got (and I doubt I'll make it through the entire jar) and I'll enjoy using them but some of the other shades in the line just don't grab my attention as much. I love the Sugarpill Chromalusts that I have. But I NEED Lumi! 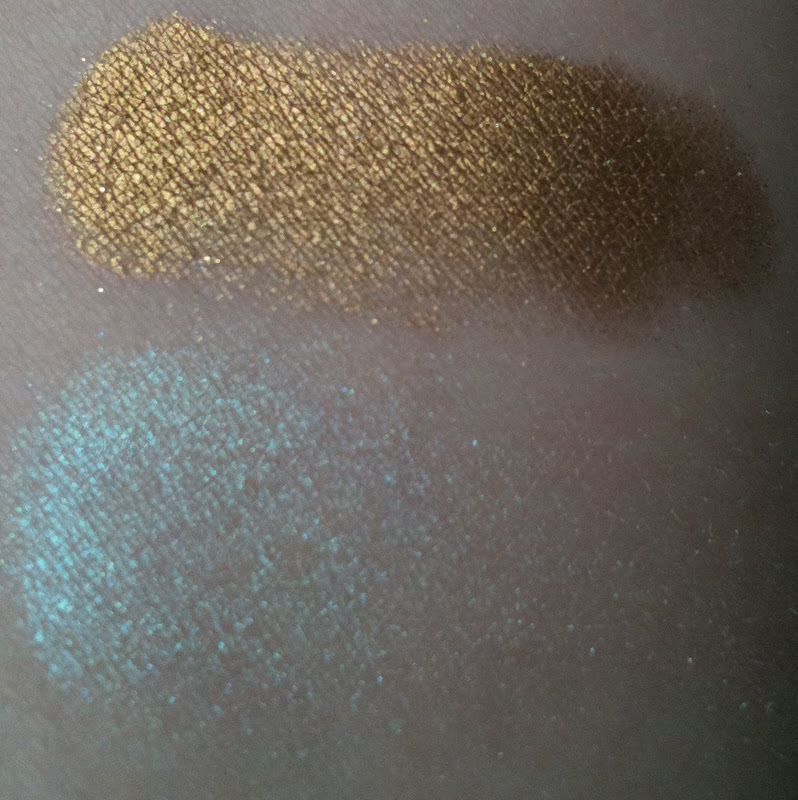 Such a versatile color! Thanks for the review!